Treat yourself to a night in with a great TV box set, from the 'edge of your seat' action of 24, to the quick witted House. Plus, there's fun for all the family - laugh your socks off with Toy Story and Shrek. Whatever your preference there's a DVD to suit you. Christmas is just around the corner so... start shopping now. 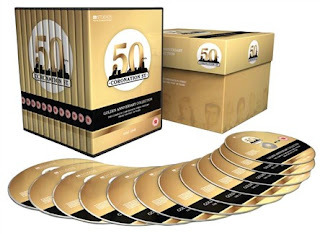 This Coronation St Golden Anniversary Collection is now only £64.99.